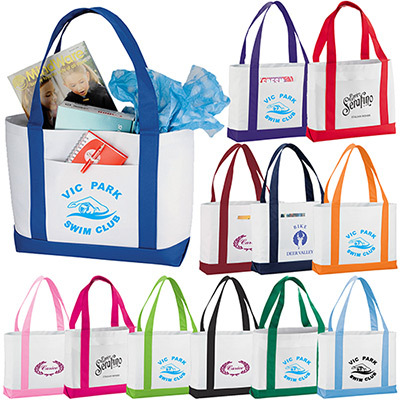 Promotional Large Boat Totes will improve your brand’s visibility by leaps and bounds without breaking the bank. 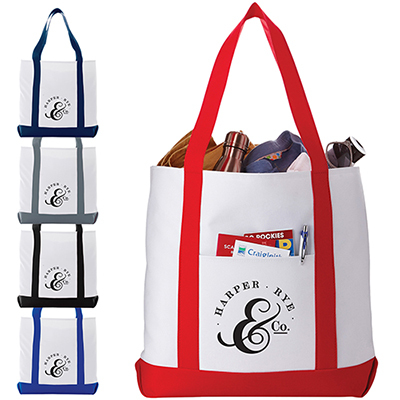 Perfect for distribution at trade shows, farmer’s markets, conventions and more, these bags offer great value for your marketing dollars! 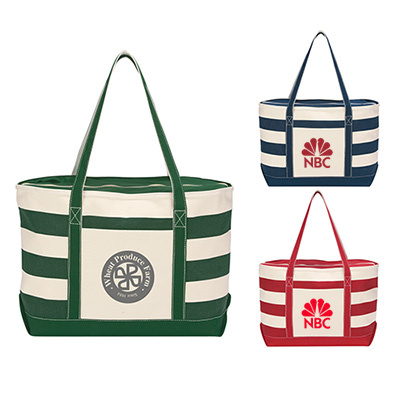 "I was looking for something that will be used on a regular basis. 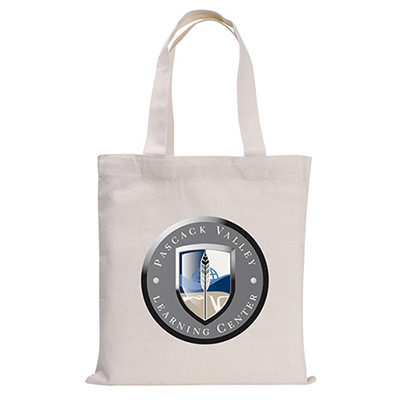 This bag fit the bill and my customers loved it too!" 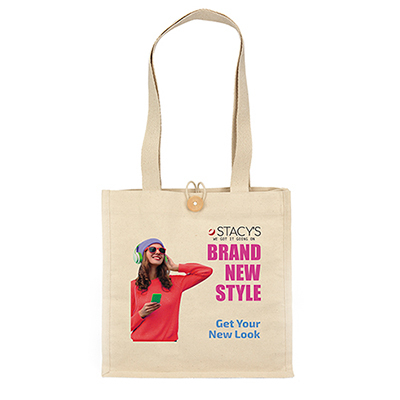 Bright colored handle are sure to grab attention!